Tom Willows, Partner in Real Estate at Womble Bond Dickinson (UK) LLP. 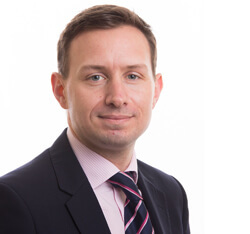 Now we have reached the end of the first month of 2018, Tom Willows, Partner, shares some of his thoughts on possible trends and changes in the build-to-rent (B2R) sector during 2018. Will 2018 be the year that modular housing gets traction? There are currently estimated to be more than 15,000 homes built this way each year. The Government wants to increase access to finance for modular builders, aiming to increase production to 100,000 homes by 2020. Foreign investment has already been seen and further foreign investment is expected in 2018, particularly from Germany and Scandinavia. Modular homes have been said to take 60% less time to construct per property. It’s obvious why it is becoming an increasingly attractive option particularly in light of the skills shortage and the need to ensure high quality and uniformity of output. That said, the current levels of production are still relatively small compared the unit numbers under construction and even smaller still compared to the huge numbers demanded or promised (depending on which statistics you believe about the potential size of the UK BTR market!). Perhaps a fair conclusion is that modular construction is likely to become more prevalent in 2018 but it will take more than the next 12 months to see it take up a significant share of overall delivery. There remain concerns about the quality of a modular product and some commentators believe there is an inherent tension between modular construction and the BTR aspiration of design-led blocks offering flexibility and variety. In 2018, we expect to see the development of brands in the B2R sector. Branding has already been successfully established in the student market and most students can name famous national brands providing purpose built accommodation. Many of the larger operators in BTR now appear to be reaching something close to required scale in terms of the number of units becoming available with several of the larger players having a footprint in many of the regional cities. 2018 is likely to see the first mass media campaigns from operators as they seek to establish themselves as the leading brand. In Europe, the UK is leading the PropTech market. Names such as Rightmove, Zoopla and Purplebricks are now well established but at the time they arrived they were seen as challenging elements of the status quo in the real estate market. The boom in the Private Rented Sector and the shift from a “real estate” to a “consumer” focus makes this sector ripe for more technology led disruption. PropTech can be utilised at all stages in the B2R sector and data can determine the best developments to match local needs, technology can assist with marketing and branding as well as attracting and securing tenants, and improved property management systems can ensure retention and satisfaction. Forbes have predicted emerging PropTech companies for 2018. One of these is Clixifix, founded in Spennymoor in 2012, which aims to improve efficiencies for housebuilders and commercial contractors through managing customer care operations and tracking defects and repairs in new properties. Tasks can be assigned, clients can be communicated with through an online portal and contractors can provide instant updates. This highlights how PropTech aims to support developers in the new-build industry. It is predicted that more market leaders will invest in or merge with start-up PropTech companies in 2018. Expect some interesting combinations of traditional real estate and PropTech offerings. An interim report was released at the end of 2017 reviewing regulations post-Grenfell. It states that building regulations and guidance are complex and unclear. The chair of the review advised that harsher penalties are required to deter people from cutting corners. This review is separate to the public inquiry but its findings will be contributed. The inquiry will get fully underway in 2018 and it is expected that we will see a focus on substantial changes to building regulations and fire safety. Whilst enhanced safety regulations and requirements may initially have an increase on build costs, tenants safety must be of paramount importance if the sector is to truly lead the way in moving towards being a consumer product rather than a traditional real estate offering. 2018 may also see a rise in three year tenancies. The Government are keen to push these to boost the private rental sector and tackle affordability. The three year tenancy may benefit landlords by ensuring less void periods and give tenants more security. BPF have stated that 20 of the biggest names in the B2R sector have already signed up. Santander have also announced an extension to its AST policy to 36 months. This development fits with the changing attitude towards renting and will hopefully contribute to even greater demand for B2R in 2018. As ever, great changes are promised for the planning regime in 2018. Most in the BTR sector would like to see is a degree of consistency between planning authorities as to the treatment of BTR schemes and a greater understanding with planners and Councillors as to the benefits of BTR and the way schemes are funded and operated. 2018 may yet be the year that several planning authorities identify the potential for delivering improvements in housing stock that BTR brings and seek to pro-actively identify and market sites for it. It remains the case that local authorities still hold the keys to many of the potential sites, in one way or another.